At Regenesys, our mission is to help reveal your inner beauty, revitalize your confidence, and make your vision a reality. As industry leaders, we offer the most innovative and cost effective programs in laser aesthetics, weight loss, beauty, and total body wellness. Patients experience an ambiance of true relaxation during their time with us. 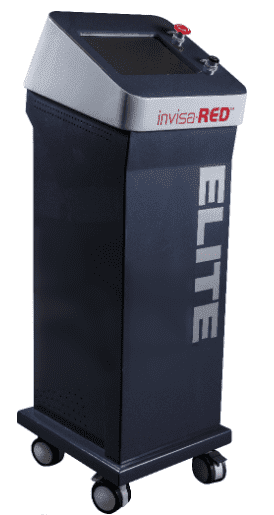 All individualized programs are safe, painless, and extremely effective in providing patients with real results. Your transformation begins on your very first visit to our facility. Call us today at 972-712-5556 to schedule a private consultation with one of our specialists. Dual coherent wavelengths (red & infrared) of light are absorbed by the subcutaneous tissue. Localized blood flow heats the area stimulating cellular respiration, ATP synthesis, and collagen production. Light at these wavelengths is very beneficial in treating problems close to the surface such as cellulite, stretch marks, and scars. It can also help with improving skin elasticity, collagen production, wrinkles, acne, and is particularly effective in removing fat from unwanted problem areas. The diverse tissue and cell types in the body all have their own unique light absorption characteristics - they will only absorb light at specific wavelengths and not at others. For example, skin layers, because of their high blood and water content, absorb red light very readily, while calcium and phosphorus absorb light of different wavelengths. Increases blood capillary circulation and vascular activity by promoting improvement in the metabolism of nitric oxide (NO). This facilitates increased vasodilatation and leads to the formation of new capillaries (angiogenesis). This in turn provides additional oxygen and nutrients to accelerate natural tissue healing processes, and eventually evokes a cascade of beneficial biochemical processes. Stimulates synthesis of adenosine tri-phosphate (ATP)—an immediate energy source for muscle contraction and is essential in the metabolism of all cellular processes and life support systems. Increases production of endorphins from the brain, promoting mood elevation and stress reduction. Q. Are LLLT treatments safe? A. Low light laser energy is part of the range of electromagnetic rays that are absolutely necessary for metabolism and growth in human beings. It is also part of the natural light spectrum of sunlight, minus the skin damaging UV rays, which is why NASA currently uses this type of energy in space. It is also vibration energy with which the human body resonates. This is the reason that it can penetrate through the skin. Q. What are the benefits of LLLT? In an industry where one size fits all concepts are typical, we’ve opened the door to a new way of thinking and a lifetime of results. We have taken a truly individualized approach by combining multiple successful components into a REAL long term solution. Patients safely lose, on average, 2 - 3 lbs per week. 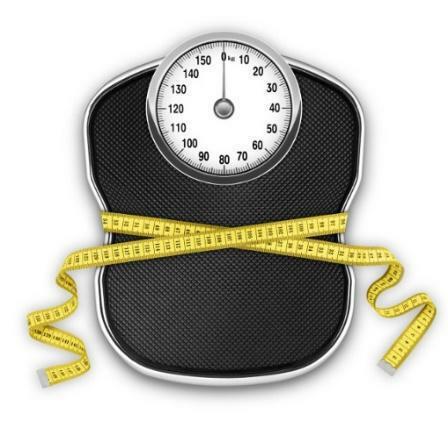 All of our weight loss programs are individualized and based on our patients’ needs. We can help anyone lose weight safely and permanently, regardless of time constraints, medical conditions, lifestyle and budget. Let’s be real for a moment - Weight Loss Is Not Your Life. Your Life Is Family, Work, Hobbies, etc… Weight loss just has to be incorporated into your life. LLLT technology for weight loss has been utilized since the early 90’s as a safe, non-invasive, painless, and effective way to accelerate weight loss, remove unwanted fat from undesirable or unresponsive areas, tighten and rejuvenate skin, fade stretch marks and scarring, and smooth cellulite from all regions of the body. Call us today at 972-712-5556 or to schedule a private consultation with our staff. You may also book your consultation by clicking below. 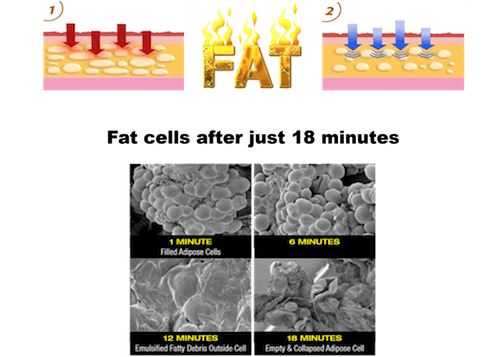 LLLT is the latest innovation in body slimming technology used to remove fat from areas that are unresponsive to diet and exercise and reshape regions of your body very quickly. Our innovative technology is a safe, non-invasive, and painless alternative to traditional fat reduction procedures. Each session can remove up to an inch of unwanted fat from any undesired problem area(s). Treatments are ideal for both men and women, eliminating the fatty areas that are unresponsive to diet and exercise. Most patients will see results after their first treatment. Treatments will vary depending on several factors including skin tone, elasticity, and cellulite grading. Multiple treatments are necessary 2-3 times per week for optimal results. Treatment times can range between twenty to forty minutes per session. Treatment sessions will vary from client to client. During your private consultation, our staff can give you a better idea of how many treatments you will need to achieve your desired results. We have an optional maintenance membership for our patients. Memberships are one to two times per month as needed. No. Treatments are non-surgical, non-invasive, and pleasant. Patients will listen to music, use Facebook, text, or take a nap during treatments. Our professional staff is here to ensure each session is relaxing and comfortable for you. LLLT technology will stimulate RNA and DNA production, (skin cell renewal), rejuvenating your skin and promoting the growth of collagen to repair the damaged area. Most patients will see an improvement after just one treatment, but will require multiple sessions to reach their desired goals. No. The treatments are quick, non-surgical, non-invasive and pleasant. Patients will listen to music, use Facebook, text or take a nap during treatments. Our professional staff is here to ensure that you are very comfortable and relaxed during every treatment with us. Treatment times are very short, around twenty minutes, and the stimulation of collagen growth will last for several months after treatments. Multiple treatments are necessary and are recommended 2-3 times per week for the duration of your recommended treatment schedule. Treatment sessions will vary from client to client. During your private consultation, our staff can give you a better idea of how many treatments you will need to achieve your desired results. Once you have completed your treatment schedule, we recommend you come in for touch up treatments once a month for three months. Patients are welcome to come back as needed for any additional touch up treatments after maintenance is complete. Although you can see visible results in just one treatment, you’ll see optimal results after multiple short treatments, which are recommended two to three times per week for the duration of your treatment schedule. Not only will you notice a reduction in cellulite, but you’ll also see a reduction in the circumference of your treatment area, as well as an improvement in the skin’s texture. Treatment session needs vary from client to client, but during a consultation, our staff can give you a better idea of how many treatment sessions you will need to achieve your desired results. No. The treatments are non-surgical, non-evasive and pleasant. Our treatments are very relaxing, and studies show the effectiveness of LLLT in cellulite reduction without any of the side effects of evasive procedures. Patients will listen to music, use Facebook, text or take a nap during treatments. Our professional staff is here to make you very comfortable during each treatment with us. Once you have reached your desired goal we recommend a maintenance schedule of one treatment monthly for six months. Patients are welcome to schedule touch up treatments as needed after their maintenance schedule is complete.